And like most other Things, it can get clouded up a touch. It’s been remarkably easy and with a lot of older games shutting down servers it’s becoming less costly to keep even a small pool of players happy by pushing your compute onto autoscaling instances. This isn’t going to be too game focused, but focused more on my experiences with migrating an existing WordPress site, which is very, very loosely related. Turns out there are two WordPresses, WordPress.com and WordPress.org, feel free to take a minute to lift your jaw from the floor and we’ll resume. One is a fully featured blog platform, the other is a framework that can be used to provide similar functionality in a self hosted environment. So this is using WordPress.org and is deployed as an Azure website. 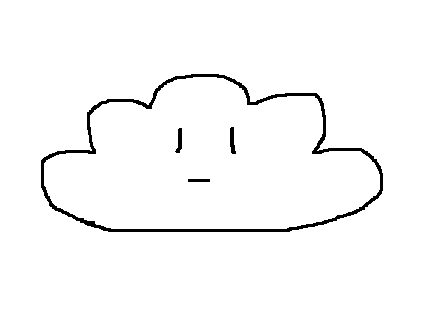 See, cloud! So as I work for a Microsoft Studio in the UK I have to point out that all views are my own. I have an MSDN subscription which allows me a certain amount of credit each month for Azure, which I’d be crazy to leave. Though I’d like to evangelise Azure I honestly don’t have enough experience with any of the other cloud related offerings to give a fair and biased view, so I won’t. Instead this is just going to detail some of the steps I’ve taken, issues I’ve resolved and the niggles that I’ll get round to sorting out one day. Scraping my pennies together, I get to go for a standard website. Apart from giving me custom domain support and a bunch of features that’ll help with my next project I get Backups (easier than this), Autoscale and a pretty decent SLA. Geo Replication comes with all options, which is ace. Azure provides a WordPress image which is dead easy to get set up with. The entire process is very slick and was working within a few minutes. My one major issue with this is the free MySQL DB which is pretty sluggish but free is free, and I can take care of that later. I’d been going by the name ‘SynchingFeeling’, apart from being a side-splittingly hilarious pun it wasn’t really doing me any favours. The URL http://synchingfeeling.azurewebsites.net wasn’t exactly catchy either. I’d only chosen to write under a pseudonym because I was intimidated by writing under my own name. The first paper I published to GameDev.net forced me to use my real name anyway… so diminishing returns. I wanted an awesome domain name. The domains for most ‘synchingfeeling’ combinations hadn’t been taken but I wasn’t keen to spend money and cement that in the annals of internet history. Instead tried the first good domain I thought of: http://www.gamedevblog.com – turns out this is owned already by Happion Labs, but they seem like an awesome indie studio anyway so I went for the slightly more local http://www.gamedevblog.co.uk through the respectibly (if terribly named) GoDaddy. WordPress Importer – Got my site up in its basic format from the old site with minimal fuss. WordPress Move – Totally sorted out the domain issue and fixed up the db links, much easier than the alternative. Akismet – For a small donation, glowing reviews for spam protection. Rublon – Two stage authentication. Honestly, check the failed login activity on your mail account. Bum. Clench. Windows Azure Storage for WordPress – Catchy name, provides Azure blob storage for media links. Did break the ‘regular’ media links a bit but whatevs. WP Super Cache – Dead clever. Recognises that dynamic content is the same for all users who aren’t signed in, serves static cached content to them. Jetpack – Bridges the holes in WordPress.org I’ve never seen with a plugin I’ve never tested. Apparently shows maths good though. Good. Plus more, there are some security and SEO plugins I haven’t taken out for a spin properly yet. Needless to say, they’re really easy to apply but wordpress should make it easier to review them! So there are a few holes left to plug, at writing at least. It can get painfully slow to load the site, looks like this is due to the free tier MySql instance. But as I’m not even nearly hitting the size limit yet, and I’m fairly sure I’ll be able to get the db backed by Azure storage with a bit of determination. The old http://synchingfeeling.wordpress.com site is still active, I can pay a nominal amount each year and have a redirect setup from WordPress. That amount is more than my domain though, and I don’t like it. I figure not may people will actually be looking at that site, so added a fairly lame ‘gone away’ post, updated all the links I can remember and left it to drift away into the night. I finally got around to addressing some of the other issues, picking a free style with responsive layout was easy enough. I also swapped over to using Azure SQL using this handy guide. I did start to get mails about hitting the 20MB db limit on the cleardb mercury plan this week. Migrating has also gotten rid of the db bottleneck I was experiencing previously. Downsides though – a few plugins no longer work (broken link checker, WordPress Move), so I’ve had to take a less graceful approach with them. http://www.johnpapa.net/ – he’s an MS evangelist but the posts on WordPress integration with Azure are particularly interesting. Especially as he’s doing the same thing as me here.